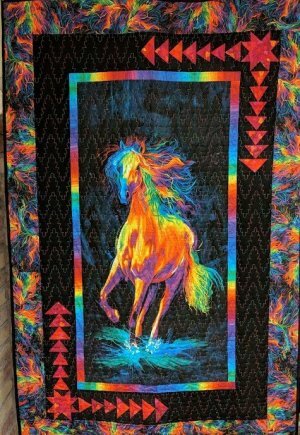 Our newest kit, Around the Bend, makes up into a 41.5" x 59.5" throw or wall hanging. The kit includes the vibrant panel and fabrics for the top and border, as well as instructions and is priced at $45. 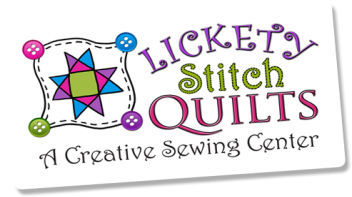 Stop in the shop to get yours or it can be ordered by clicking on this link at www.licketystitchquilts.com.